When a person begins to consider the end of his or her life, he or she may question how assets will be allocated and protected during the process of probate. If a person has not made specific directives, some of their assets and property may be received by an undesirable party. One of the ways people here in Nevada can protect their assets and ensure that they are bequeathed to those they wish is by creating a trust. Different kinds of trusts can be used to ensure asset protection. Living trusts are generated while the estate holder is still alive and can serve as a way for that person to target where their assets will end up. 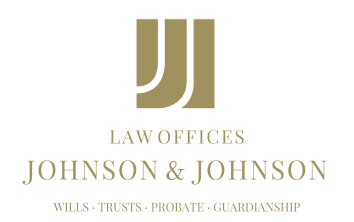 Here at Johnson & Johnson Law Offices, we have a great deal of experience in handling trusts of all varieties. We can help to ensure that your assets are protected from probate in the event of your passing, sending them where you truly want them to go — your beneficiaries. Trust types can include revocable trusts, irrevocable trusts, IRA trusts, spend thrift trusts and others. Trusts are not subject to public review, unlike the rest of the probate process. Here in Nevada, there are specific and unique regulations that can help your assets to be protected from taxes or creditors. We are confident in working with these different types of trusts to help you take care of your family, friends or other potential heirs just as you would want. While most people might think that trusts are only for those who have accumulated vast wealth, they can be useful for many kinds of people in regard to asset protection. For more information on this subject matter, visit our [url=‘http://www.johnsonlegal.com/Practice-Areas/Trusts.shtml’]website[/url]. We can advise on not only trusts but many other facets of estate planning.